For me, West 72nd Street is Manhattan. It’s absurd, but whenever I try to picture Manhattan into a single sort of place, this is the street for me. 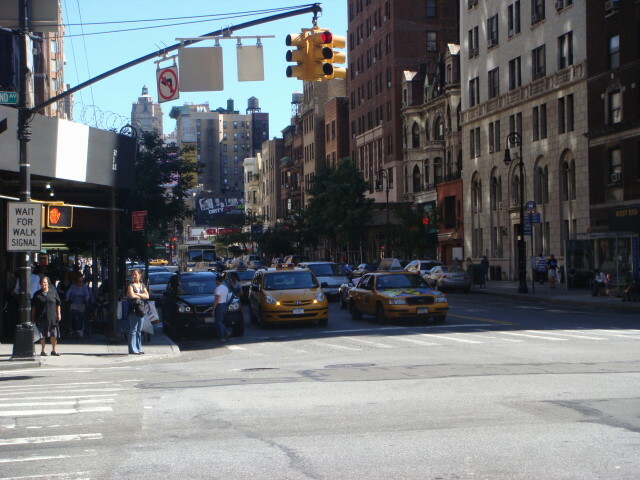 I used to live in the area, and I would walk down parts of 72nd Street twice a day (to/from the subway). And, although it’s only been 2 years since I’ve moved, it’s changing. Mostly subtle, but it’s emblematic of Manhattan that there’s a continuous creative destruction in process. 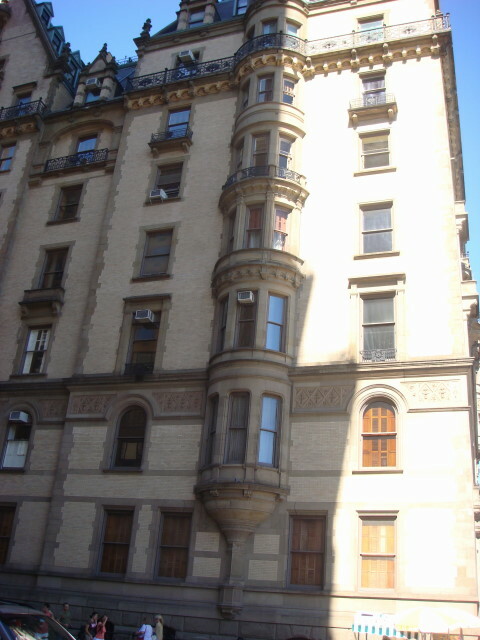 At the far east part of W. 72nd is the Dakota. One of my favorite buildings just because of its architecture. I’ve posted about it before. I’ve never been in it and never expect to be. As I’ve commented before, I find the window air conditioners on such a hyper-expensive building to be amusing more than anything else. 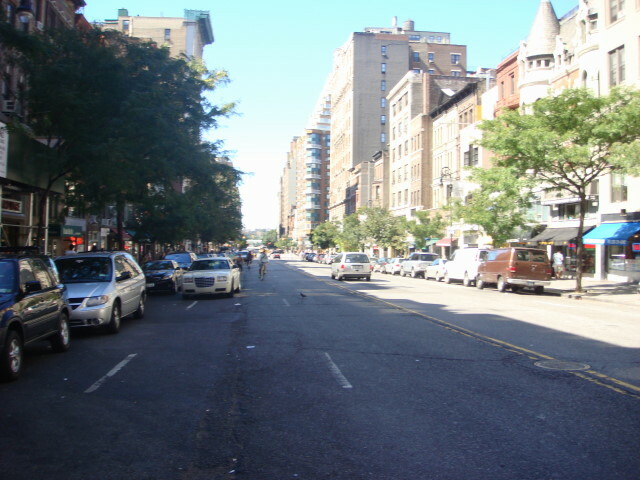 Further down the street is one of those views that are so typical of the Upper West Side. As you get to Broadway, you run into Verdi Square where the subway station is. 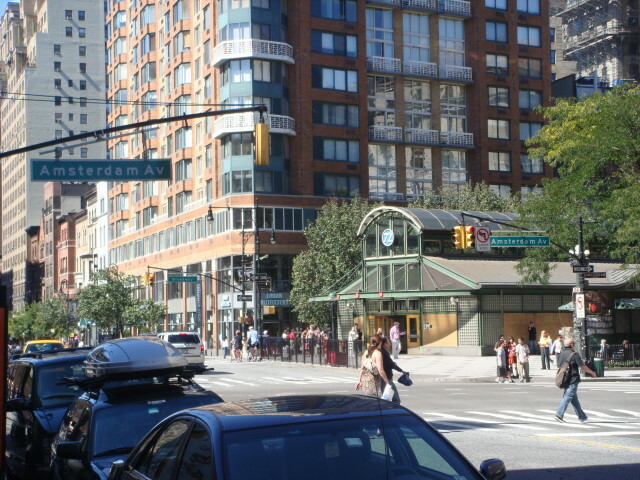 The square is created when Broadway and Amsterdam Avenue intersect. If you look closely, you’ll see the water tanks on some of the older buildings. The newer ones have them, too. They’re just better hidden. This entry was posted on October 26, 2007 at 7:43 am and is filed under Broadway, Manhattan, Wanderings. You can subscribe via RSS 2.0 feed to this post's comments. You can comment below, or link to this permanent URL from your own site.